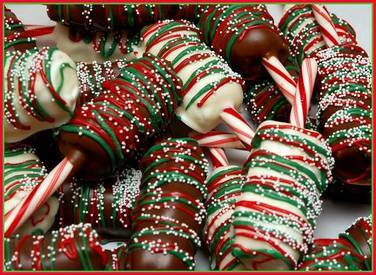 These are basically a party on a Peppermint stick, featuring chocolate dipped marshmallows! Way too easy, but delicious and fun to eat and make! !